The counterpoint between two driven men—one by a quest for justice, the other by an atavistic hatred—propels this engrossing study of the King assassination. Sides, author of the bestselling Ghost Solders, shows us a King all but consumed by the flagging civil rights movement in 1968 and burdened by presentiments of death. 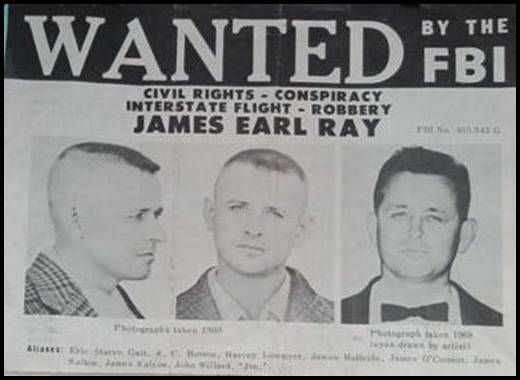 Pursuing him is escaped convict James Earl Ray, whose feckless life finds a belated, desperate purpose, perhaps stimulated by George Wallace’s presidential campaign, in killing the civil rights leader. A third main character is the FBI, which turns on a dime from its long-standing harassment of Kingto a massive investigation into his murder; in Sides’s telling, the Bureau’s transoceanic hunt for Ray is one of history’s great police procedurals. Sides’s novelistic treatment registers Ray as a man so nondescript his own sister could barely remember him (the author refers to him by his shifting aliases to emphasize the shallowness of his identity). The result is a tragedy more compelling than the grandest conspiracy theory: the most significant of lives cut short by the hollowest of men. (From Publisher’s Weekly via Amazon).